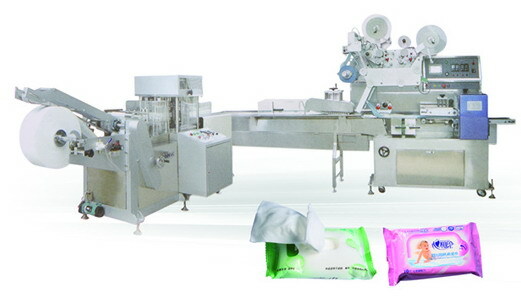 Tinyard Enterprise Co.,Limited is one of the top level China 30pcs wet tissue packing machine manufacturers and suppliers, welcome to wholesale 30pcs wet tissue packing machine from our factory. Packing type: 5 pieces/sachet, 10p/s, 15p/s, 22p/s, 25 p/s, 30 p/s and so on. Folding type: Raw material -> longitudinal fold 2-6 times in N, W, V shapes-> Crosswise fold one time. Products use: The hygienic clean wet tissue, unload cosmetic wet tissue, the clean damp tissue, the male and female healthy care wet tissue, the medicine wet tissue, disinfecting wet tissue and so on. 1. Mitsubishi or Panasonic frequency changer. 2. The operation plate and the duplicated volume cage uses the stainless steel material. 4. Volume tensity trimming system. 5. Folding and drawing gear trimming system. 6. Automatically folding system in N、V、Z、W shapes. 8. Stainless steel stirring saving pot. 9. Automatically count number system. Folding type: Raw material breadth -> longitudinal fold in W 、N、Z shapes->crosswise rebate. Wetting type: Wetting or spraying. Suitable materials: 35-80g/㎡,water-sting non-woven cloth, airlaid paper. 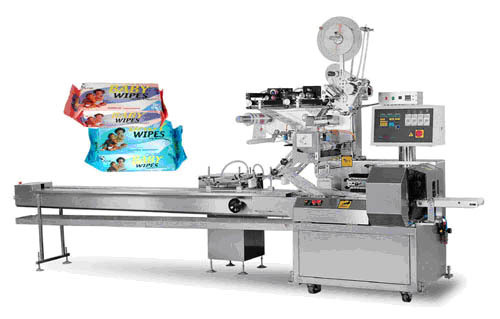 This machine can fold and pack 5-30pcs wet tissues into plastic bags.